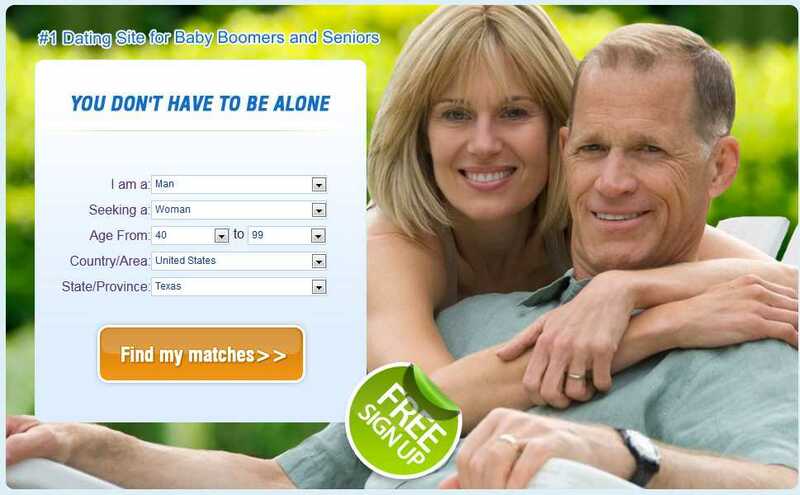 For older singles who know what they like but don’t know where to go find true love, www.seniormatch.com can help them. SeniorMatch.com boasts that it is “the largest and most effective dating site for baby boomers and seniors” With a huge membership pool of literally millions of educated, successful ,mature singles over 50, and with its many unique fun features, that’s no empty brag. The website’s user interface is not complicated so anyone can navigate it easily to find the features and registration is easy and quick, taking only a few minutes. Single seniors can create their own profiles describing themselves, describing what they’re looking for in their ideal match, and uploading photos. Members can see who is interested in them, communicate with each other through email, chat rooms, and instant messaging. Advanced search options can increase the chances of finding a perfect match. Read success stories for inspiration and perhaps you will be writing your own story. Unlike other dating sites that are cluttered and hard to navigate, this site is clean and easy. Like other sites, it’s free to join, create a profile and upload photos. Profiles are very detailed, including where a member lives, their age and distance from you, and up to 27 photos, more than any other site, some of which can be marked private and viewable only by those you choose. Something else you won’t see on other sites is a ‘first date idea’ section, which is helpful in giving you some idea of a suitable activity should you arrange to meet. Self-written sections really give you a good idea about what a member’s like, complemented by information on appearance, interests, lifestyle and what that member is looking for in a potential partner. It’s possible to get in touch with members in a variety of ways via their profile page. In addition to the usual internal private email system that functions as the default medium for communication, it’s possible to send a ‘wink’ to someone you’re interested in by the simple click of a button (a wink is an automated, preformatted message sent to break the ice and express your interest). If you’d like to chat online, the IM messenger feature allows you to do so by clicking on the appropriate tab on a member’s profile requesting IM chat. You can even post comments on a member’s profile page, send an e-greeting card, view your potential compatibility based on your profiles, create a list of your favorite profiles and even answer a member quiz (if they have set one up), all of which are very simple and fun to do. Participating in the member forums (covering issues including lifestyle issues, health, entertainment, technology, online dating and more) also help connect you with members with similar interests to your own. In addition you can write a blog or read and comment on other bloggers (the largest blog feature of any dedicated senior dating site). The advanced search enables you to pinpoint members based on a variety of personal, lifestyle, physical and other criteria and is a truly comprehensive search tool. To get the best from the site upgrade to a paid subscription. You can save 50% if you sign up for 3 months and 60% by taking out a 6 month subscription. Standard members are relatively limited in what they can do, including creating a profile and uploading photos, replying to emails and online chat requests, initiate winks, use basic searches, create a favorites list, check out the site’s news feed, get 24/7 telephone and email support and access the site through a mobile device. Upgrading to Gold membership will enable you to have full access to all features (most importantly initiating communication with other members), sending e-greeting cards, receiving alerts when messages have been read, accessing all search tools, blogs and forums, getting compatible match updates, getting listed at the top of searches, getting daily news and updates, dating advice and tips (over 1,000 articles), and getting priority customer support and your own account manager. There’s also an excellent FAQs page (arranged by category) and 24/7 customer support by telephone and email, plus access to a live chat counselor if you upgrade. You won’t find this level of support on any other senior dating site. - Gold members can initiate communication with other members; send e-greeting cards; receive alerts when messages have been read; access all search tools, blogs and forums; receive compatible match updates,; get listed at the top of searches, get dating advice and tips (over 1,000 articles); and get priority customer support. - Post up to 27 photos on your profile. - Live chat support with a dating counselor. This SeniorMatch.com Review has pointed out many unique and fun features such as sending e-greeting cards; receiving alerts when messages have been read; accessing all search tools, blogs and forums; receiving compatible match updates; dating advice and tips (over 1,000 articles). It’s ease of use, advanced search options, extensive profiles, and live chat will ensure that you find the best possible match. Seniormatch.com’s proven track record is one reason why it truly is the most popular, and best designed online dating sites for seniors on the Internet. While it may be expensive, you can be sure to find serious educated mature people who are looking for a lasting relationship and you just may find your perfect match like thousands of other singles have already done who are now happily married.